Research shows transcendental meditation can have many positive effects on physical and mental health. Transcendental meditation is one form of meditation practiced by people throughout the world. For around 20 minutes two times a day, those who use this technique sit with their eyes closed and attempt to reach pure awareness or transcendental consciousness with the help of a mantra. Since its development by Maharishi Mahesh Yogi several decades ago, a variety of research has been conducted investigating its effects. Research has shown that transcendental meditation can decrease heart rate and blood pressure, as well as improve mental health. In theory, TMs spiritual nature aids participants in removing their mind from physical and ordinary matters and instead concentrating on the greater universe and one’s place within it. When comparisons of different forms of meditation were made, these positive results occurred more frequently after TM than more secular meditation practices. There are many other ways transcendental meditation can be beneficial. It can lead to feelings of calm, peace, and reduced anxiety. Additionally, it can result in greater self-efficacy, a higher internal locus of control, and reduced focus on the physical body. A study entitled “Effects of Transcendental Meditation on Brain Functioning and Stress Reactivity in College Students” specifically investigated the effects of transcendental meditation in post-secondary school students. The study involved two groups: immediate-start students and delayed-start students. The immediate-start students began practicing transcendental meditation after a pre-test; the other did not apply this form of meditation until after the ten-week post test. The results showed Brain Integration Scale scores increased and sleepiness decreased in immediate-start students. Brain Integration Scale scores are negatively correlated with anxiety and positively correlated with moral reasoning, emotional stability, and greater openness to experience. Also, in the workplace, many top-level managers have considerably higher Brain Integration Scale scores than middle-level managers. The college students practicing transcendental meditation also showed faster habituation to a loud tone; that is, they were less irritable and jittery. Other studies have investigated personality correlations for those who practiced transcendental meditation and those who quit the program. Compared to those still practicing TM, those who stopped felt less positive about themselves. They also had more serious problems and were more anxious, withdrawn, and irritable. 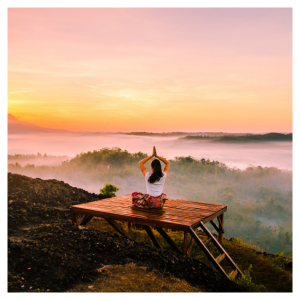 Additional research continues to investigate transcendental meditation, and recent studies have shown transcendental meditation may also help reduce depressive symptoms, in addition to its positive effects with alleviating stress.